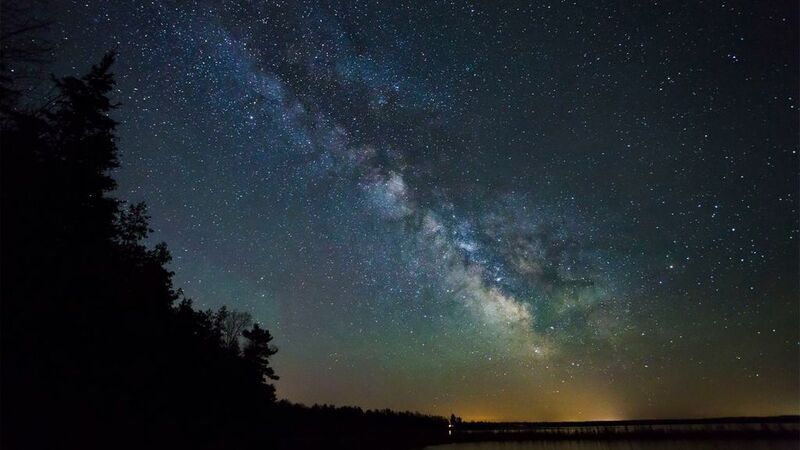 ​Manitoulin Island is also home to a Royal Astronomical Society of Canada designated Dark Sky Preserve and a top destination for astronomers and star-gazers from around the world. So one evening, after dinner, prepare for this unique experience! Our expert astronomer will give us a brief orientation and point out the different planets, constellations, galaxies and the magnificent Milky Way! Join us and be among the stars! Literally! Only $79 pp deposit required to reserve your seat. 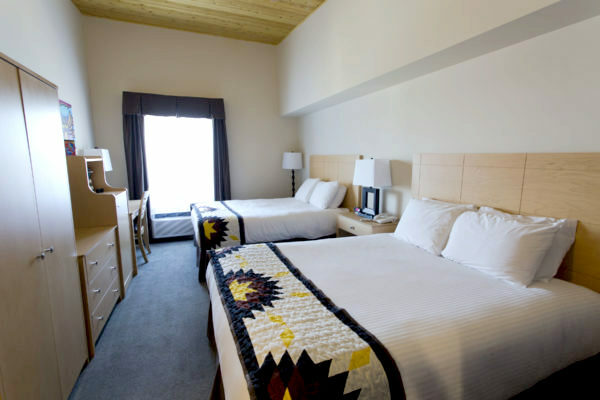 2 night accommodation at the Manitoulin Hotel & Conference Centre. Sunset dinner cruise with DJ and music after dinner. Night time astronomy and star gazing experience. Chi-Cheemaun ferry ride to Tobermory. Glass bottom boat cruise to explore the shipwrecks and get an excellent view of the Big Tub Lighthouse before arriving at Flowerpot Island. Admission to Flowerpot Island. Free time to explore and hike the trails on the island and get close up pics of the Flowerpot pillars or lighthouse. Visit to French River Trading Post. Visit to Bridal Veil Falls & Kagawong Village. 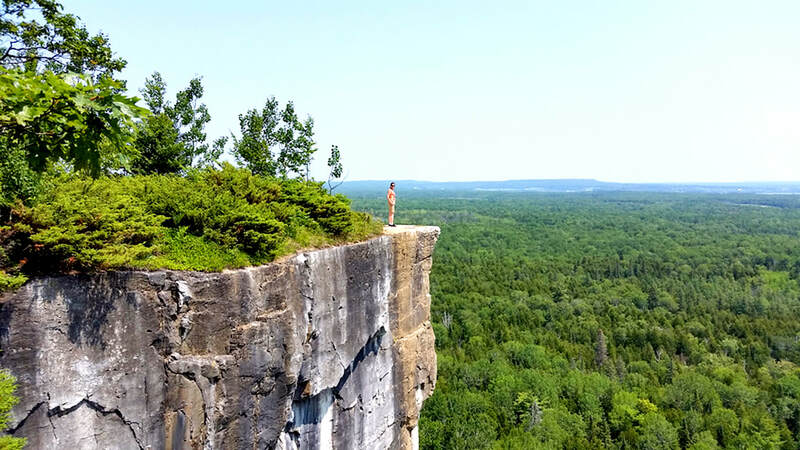 Hike the trail to Kagawong Village from Bridal Veil Falls (optional). 2 hot breakfasts at hotel. 9:00 AM -- York Mills Station, 4025 Yonge St.
​$79 pp deposit required to reserve your seat. Deposit is non-refundable. ​Reminder emails are sent out closer to the payment due date. Deposit of $79 per person required to reserve your seat. Deposit is non-refundable once seat has been reserved! Full payment is non-refundable once paid. A reminder e-mail will be sent prior to the balance due date for your tour. We will end our first day with a private dinner cruise exclusive to ShortTrips. As we set sail through the North Channel, recognized as one of the best cruising grounds on Lake Huron, experience the serenity and quiet bliss of Northern Ontario. Take in the beauty of the La Cloche mountain range while watching the sunset. On board you will be served a buffet style dinner, along with dessert and your choice of a non-alcoholic beverage. Cash bar will be available. After dinner, be sure to get up on the dance floor while the DJ plays your favourite song! Gordon’s Park is home to the first commercial privately owned dark sky preserve. The guided experience takes place in their Royal Astronomical Society of Canada dark sky preserve in the interior of the park. Our guided evening will include an orientation into astronomy, a review of planets & solar systems, a green laser guided sky tour, observing through telescopes and special wide angled binoculars, tips and tricks for viewing with the naked eye, as well as instructions on the use of a planisphere (star map) to find objects in the night sky. In the event of inclement weather they offer an excellent inside program that includes teaching about astronomy and the Northern Lights and Meteor Showers, and a tutorial on star hopping. Red filtered flashlights are required in order to preserve night vision. In order to maintain it's status as a Dark Sky Preserve, sources of white light are not permitted. We will provide red filtered flashlights as part of the tour. 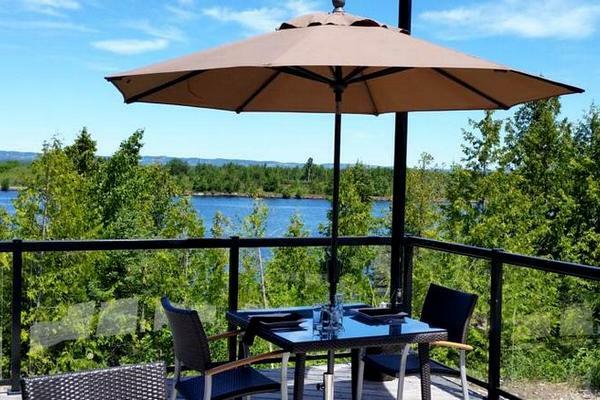 The first hotel to be built on Manitoulin Island in a century! Natural materials like stone and timber used in the hotel’s construction came from the island. Amenities at the hotel include Wifi, sun deck, garden, outdoor pool, fitness centre, bar, restaurant. Near the hotel are various restaurants, the Manitoulin Brewery, a bike rental shop and the LCBO. Most places are within a 10 min walk. Our stay at the hotel includes private breakfasts on both mornings. The island's most beautiful and scenic waterfall, adored by visitors and locals alike. Bridal Veil Falls is near the town of Kagawong. You can admire the beauty of the waterfalls from the top of the falls, or walk down to the base where many visitors enjoy a refreshing dip in the water! For those interested in a leisurely hike, you will have the opportunity to hike one of the trails from the waterfall to the town of Kagawong. For those who aren't interested in a hike, the bus will take you to the town. 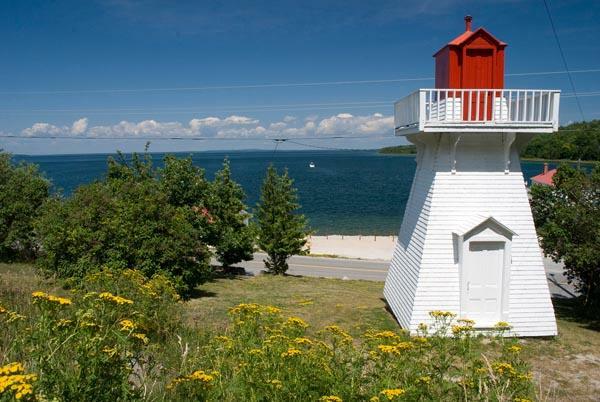 While in Kagawong you will have the opportunity to explore the village's cute little lighthouse, the waterfront with a beach & marina or visit Manitoulin Chocolate Works, makers of delicious handcrafted chocolates. The clear blue waters around Tobermory hold deep secrets of the ships that sailed through unforgiving darkness and too close to shore and were claimed by the lake. 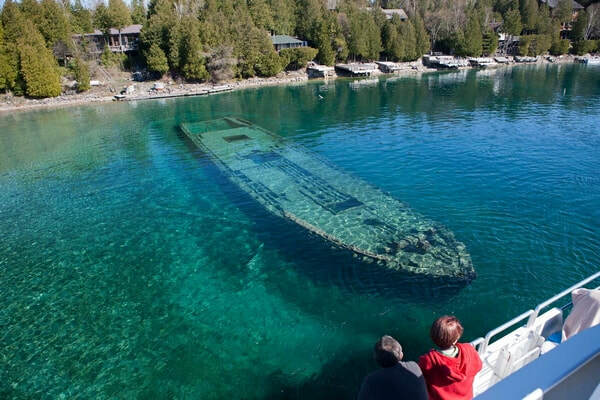 Today 22 of these barges, steamers and schooners lie shipwrecked off the coast of Tobermory in this underwater graveyard known as the Fathom Five National Marine Park. We will be taking a narrated boat trip on a boat with a flat glass bottom so you can see what lies underneath as we are transported from Tobermory to Flower Pot Island and then back from the island to Tobermory. Accessible only by boat, just 6.5 kilometers off the coast of Tobermory lies Flowerpot Island, one of Canada’s most fascinating natural attractions. A trip to Flowerpot Island is one of the best experiences in Fathom Five National Marine Park! The island is famous for its natural "flowerpot" rock pillars, caves, historic light station and rare plants. The Ojibwe Cultural Foundation was created to preserve and revitalize the language, culture, arts, spirituality and traditions of the Anishinaabe People of the Mnidoo Mnising. ​Here we will get a tour of the gallery museum, a presentation on traditional medicines and will be served scones and tea. ​The foundation has been celebrating and promoting Anishinaabe artists since 1974, making it the longest-running art institute run by and for the Anishinaabe people. One of a kind artisan works can be purchased here. The shape of this church represents a tipi, a fire pit and the circle of life. It welcomes both aboriginal traditions and Catholic beliefs. ​Colorful paintings by local artists depict the stations of the cross, while magnificent carvings represent both Christ and the Great Spirit Kitche Manitou.